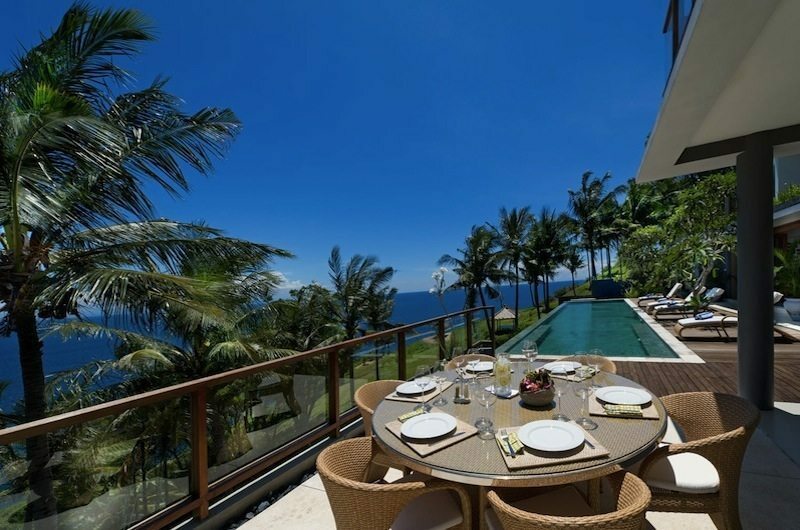 Malimbu Cliff Villa is an amazing clifftop estate offering infinite ocean views, an 18m infinity pool and stylish modern comfort. 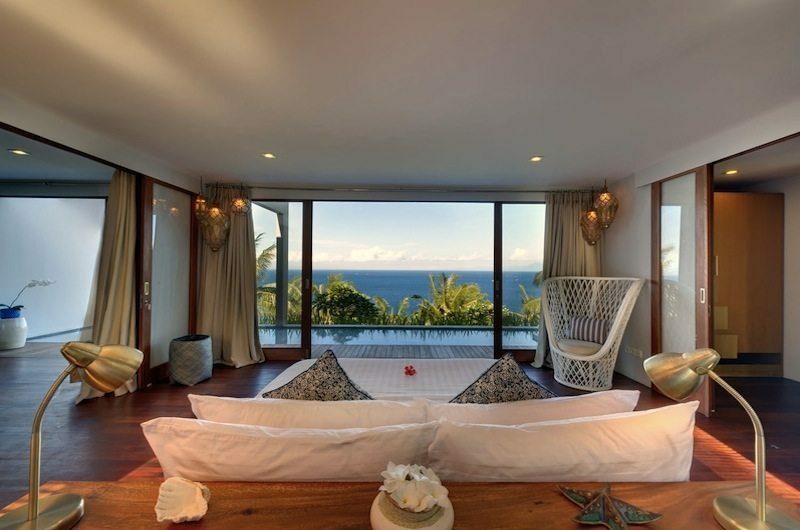 Malimbu Cliff Villa is a light and bright villa built over the rugged cliffs of Lombok, offering sweeping views of the Indian Ocean and over to Mount Agung on the neighbouring island of Bali. 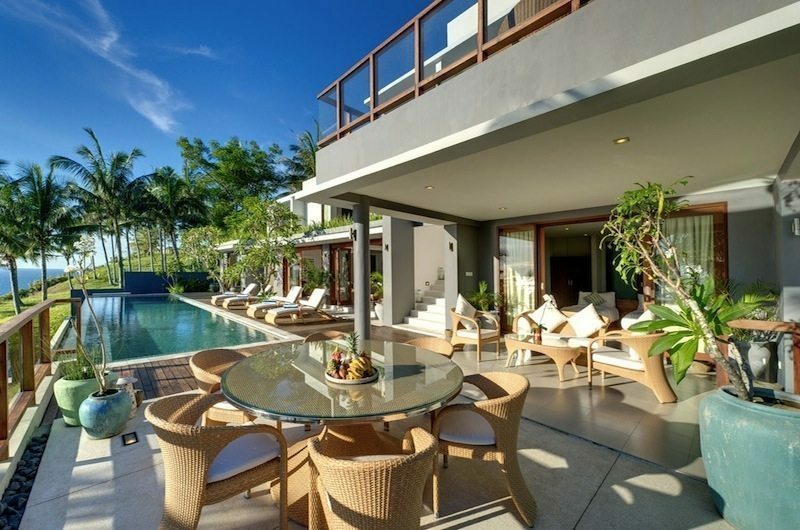 This designer villa is a hidden gem on Lombok’s undiscovered western coastline and offers a stylish retreat with an 18-metre infinity pool and generous living areas both indoors and outside by the pool. 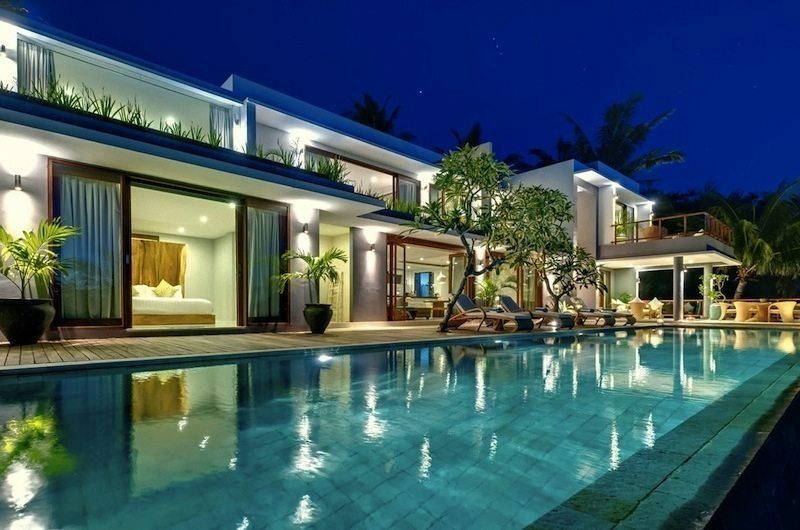 The villa has four bedrooms, all housed under the same roof. 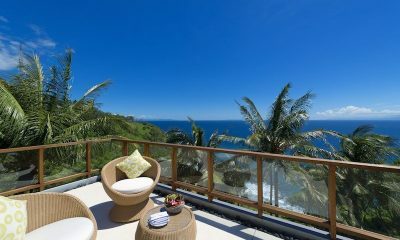 Life at Malimbu Cliff Villa is all about the epic ocean view. 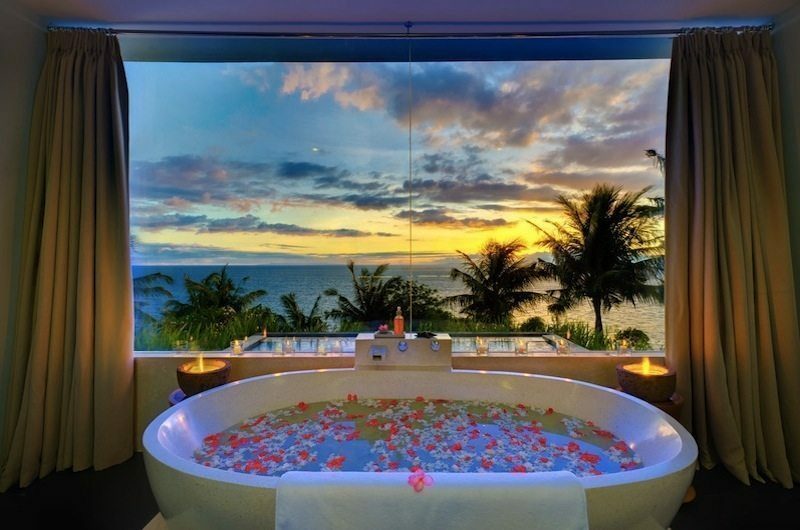 The two-storey villa is built on a scenic hilltop and the infinity edge pool is the best possible spot for taking in the million dollar vistas. 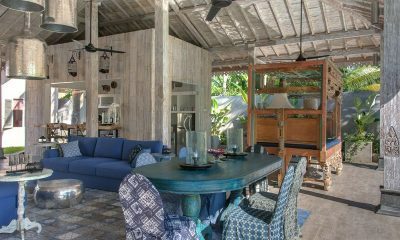 The living room overlooks the pool through glass doors which can be closed off when you want to cool off with the AC on. 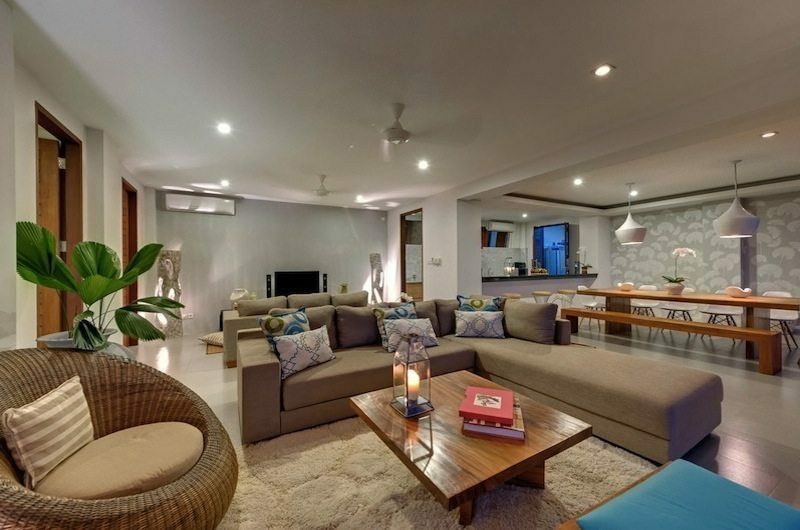 The open-plan room houses sofas overlooking the pool and a separate lounge area centred around a flatscreen TV. 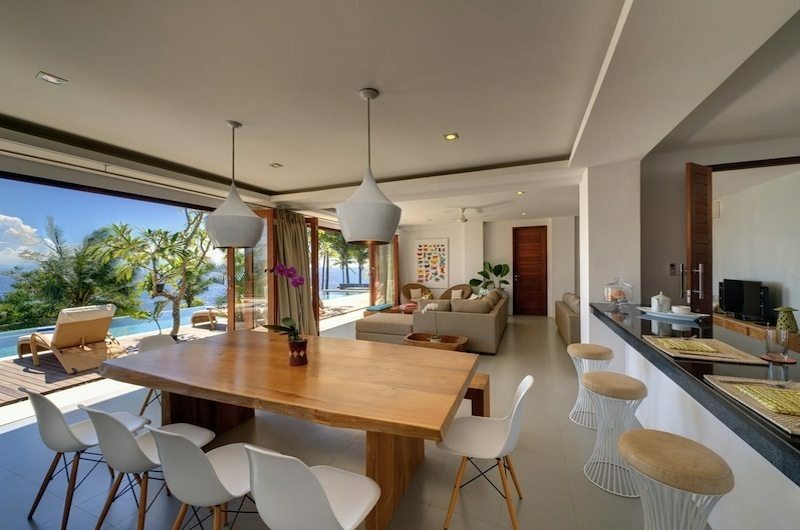 The dining table is housed in the same open-plan living room. The table seats 10 and it’s flanked by an open-plan kitchen. 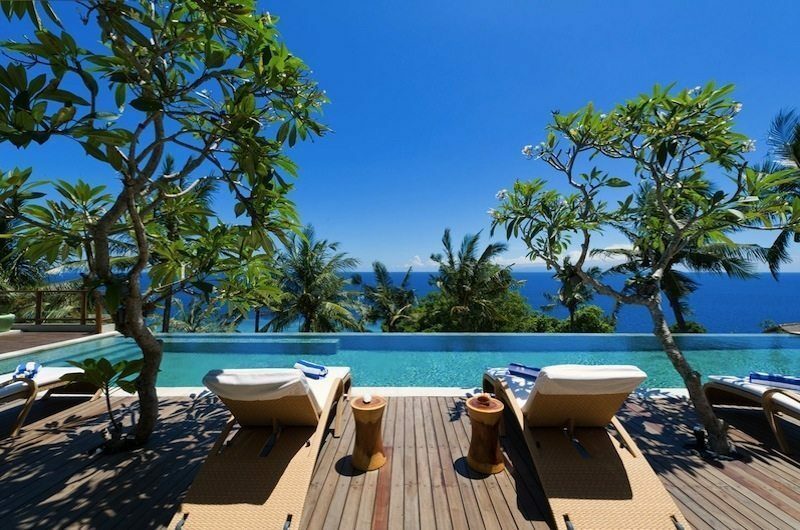 Malimbu Cliff Villa has an 18-metre swimming pool with an infinity edge opening out to endless ocean views. 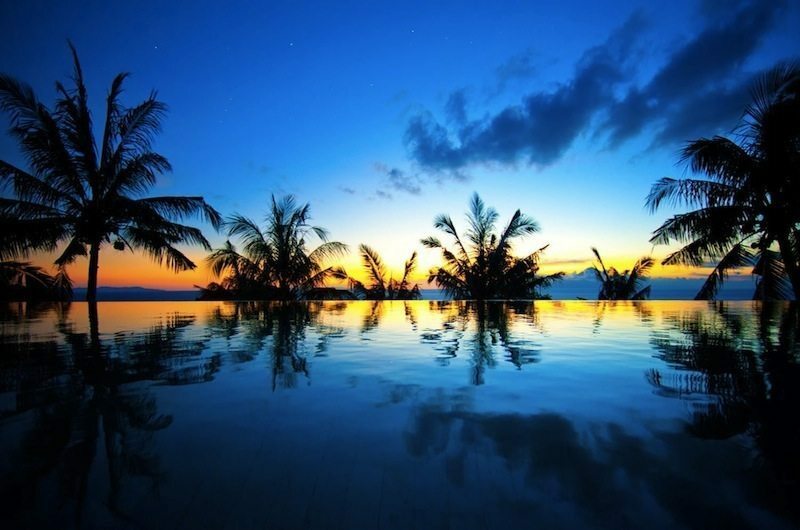 The pool is surrounded by sun loungers and a scenic outdoor dining area. 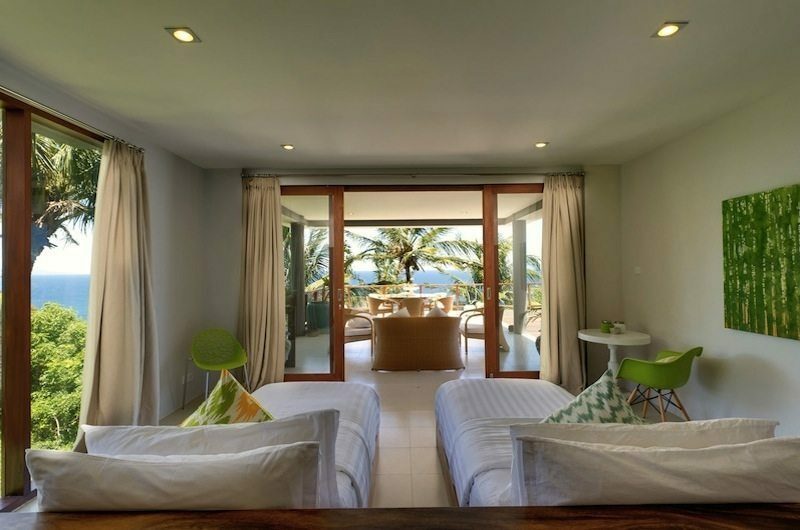 Malimbu Cliff Villa has four bedrooms. Three rooms have king-sized beds and one room has two single beds which can be converted into a king if needed. There are two bedrooms on the ground floor and two rooms upstairs on the first floor. All bedrooms are housed under the same roof. The master bedroom is located on the first floor. 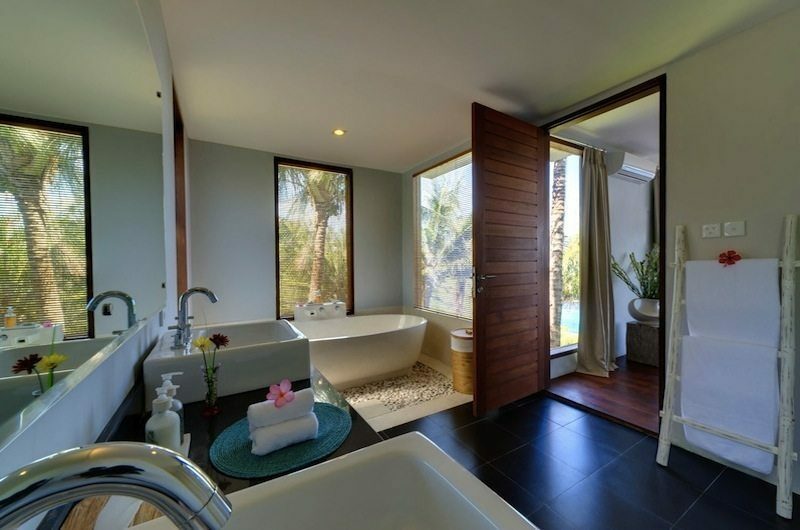 This room has a king-sized bed, private balcony, TV lounge and an ensuite bathroom with a terrazzo bathtub and an indoor and outdoor shower. The second bedroom is located on the first floor. 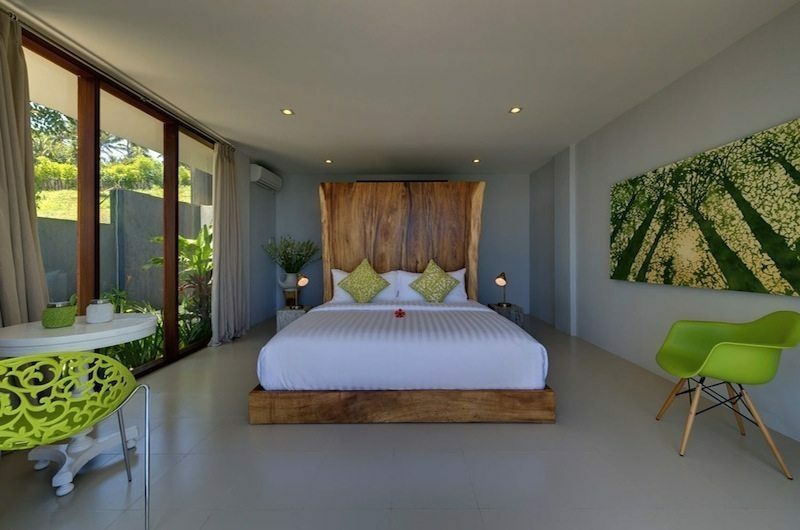 The room has a king-sized bed, furnished terrace and ensuite bathroom with a bathtub and shower. The third bedroom is housed on the ground floor. 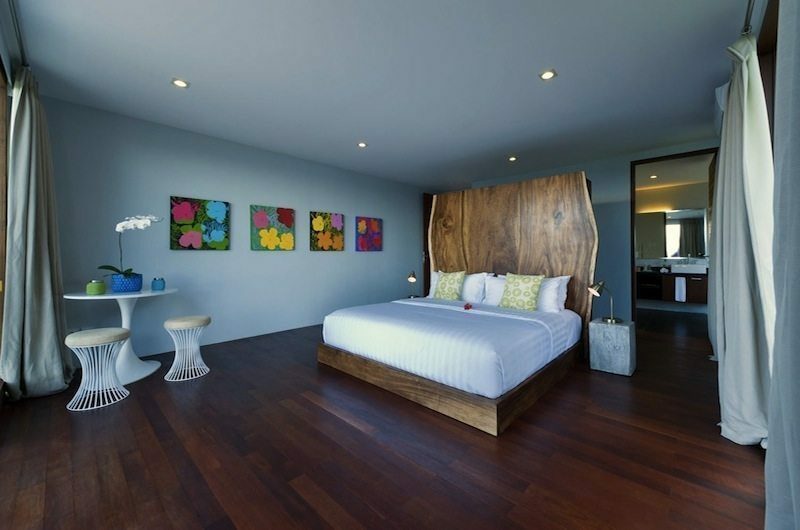 This room has two single beds that can also be set up as a king and an ensuite bathroom with a terrazzo bathtub. 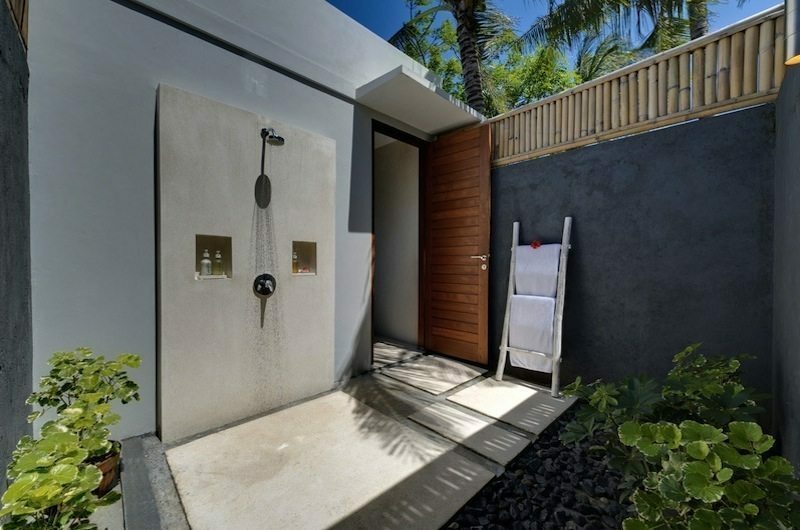 Located on the ground floor, the fourth bedroom has a king-sized bed and ensuite bathroom with a tropical outdoor shower. 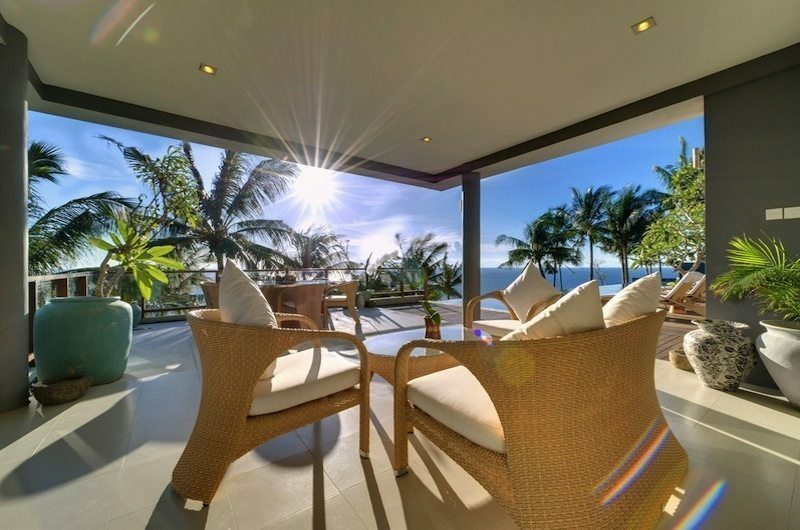 Malimbu Cliff Villa is a four-bedroom villa built over two floors. 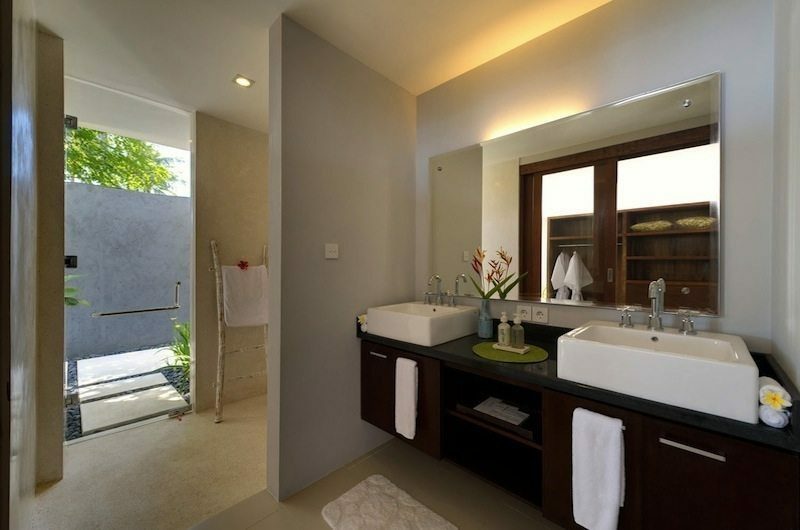 The ground floor includes the living and dining areas, swimming pool and two bedrooms. There are two more bedrooms and a study room up on the first floor. Your stay in Malimbu Cliff Villa is made enjoyable by the professional staff. Malimbu Cliff Villa’s staff have been professionally trained and will do their utmost to please with their warm and friendly hospitality. 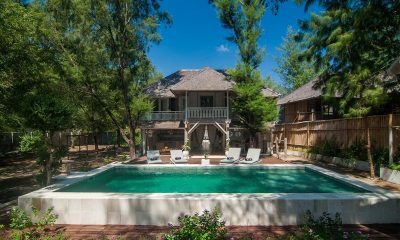 Malimbu Cliff Villa’s experienced and knowledgeable manager is responsible for the overall operation of the villa. The villa manager will oversee and coordinate the staff and property and assist you during your stay. Housekeeping you didn’t think you would be expected to clean while enjoying time off did you? 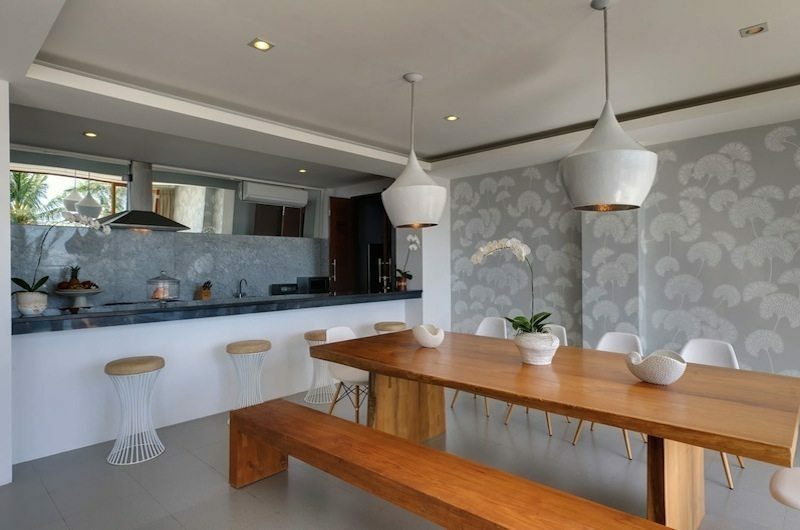 All of our villas include housekeeping to tidy up the villa, arrange the laundry services, wash up and simply make sure you don’t lift a finger whilst on holiday with the family. The villa’s own private chef, prepares dishes from the Western, Asian, vegetarian and children’s suggestion menus. 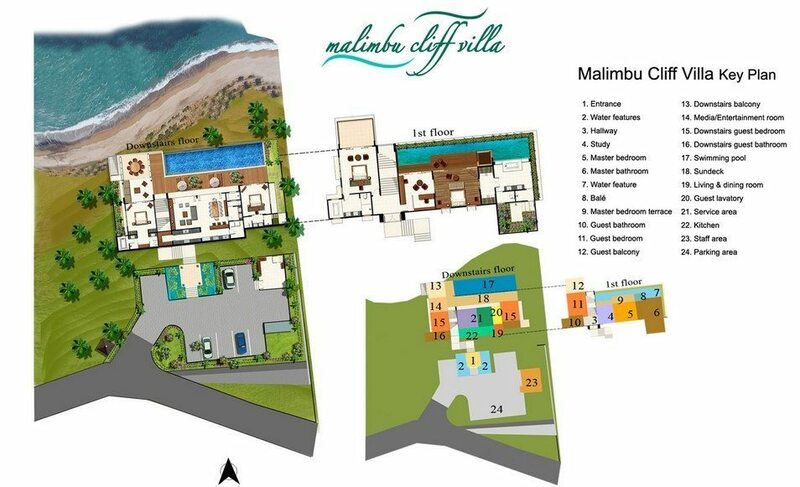 Malimbu Cliff Villa includes 24-hour security. 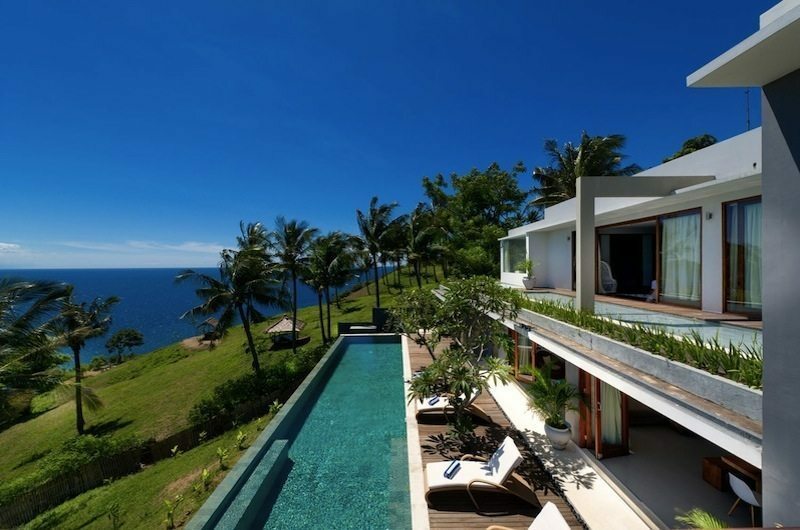 Malimbu Cliff Villa is located on the island of Lombok. The villa sits just over a rugged rocky beach which while beautiful, is not ideal for swimming. 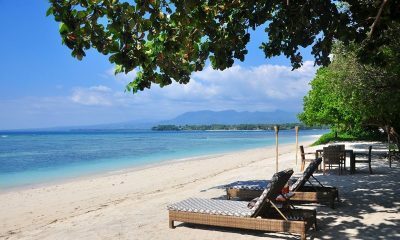 The sandy Malimbu Bay is within a short walk of the villa. 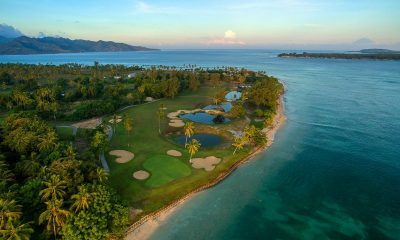 The surrounding area is bursting with pristine natural beauty and authentic local life, while the tourist hub of Senggigi is less than 10 minutes away by car. 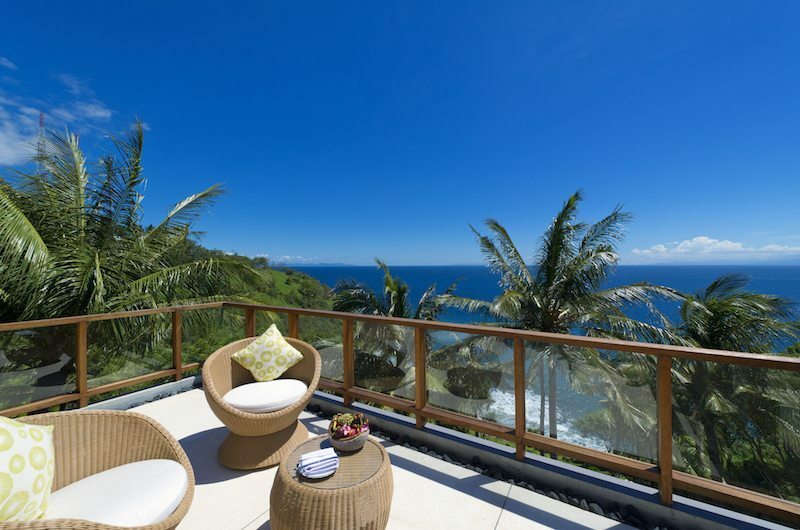 Malimbu Cliff Villa is located about 90 minutes from the airport. 11 of us stayed at Malimbu Cliff villa for 3 nights. We wish it could have been more. 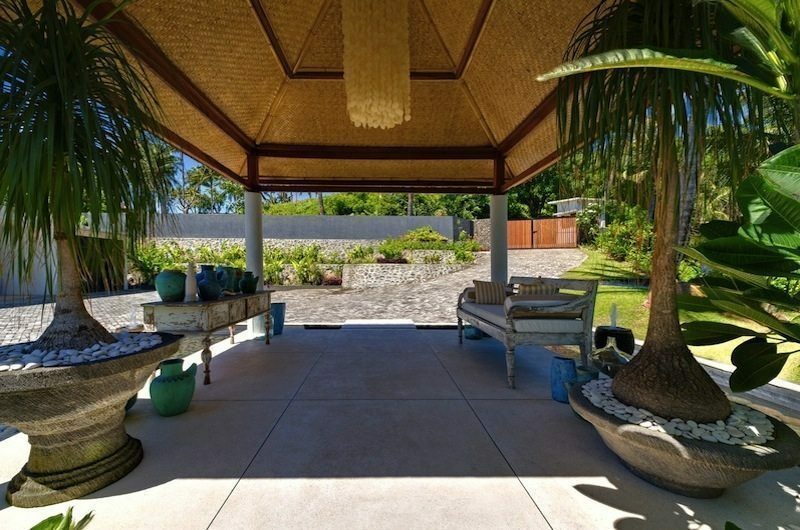 The villa is beautiful and all the bedrooms are large with the master bedroom being enormous.The villa has a great sunset view and the pool was perfect. The only thing better than the villa is the lovely staff who work there. All of them were incredibly friendly and helpful and the chef laid on the most fantastic food for us. We strongly recommend you try the calamari, spring rolls, beef rendang, beef salad and the mixed BBQ. I would not hesitate to book to stay here again. It was wonderful. 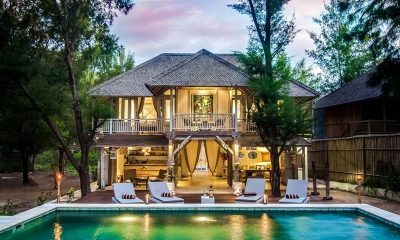 Set out to sea and escape into this indulgent villa; Villa Coral Flora is a true oasis tucked away on the tropical shores of Gili Trawangan. 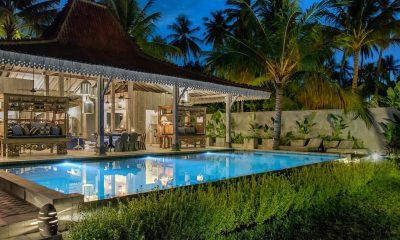 Sunset Palms Resort is a beautifully bohemian collection of private pool villas located 3 minutes from the beach on the tropical island of Gili Trawangan. 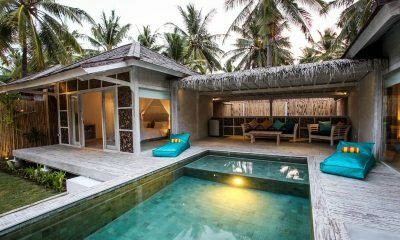 An idyllic beachfront villa nestled away from it all, embrace life from an endless infinity pool looking out over rippling seas at Joglo House Lombok. 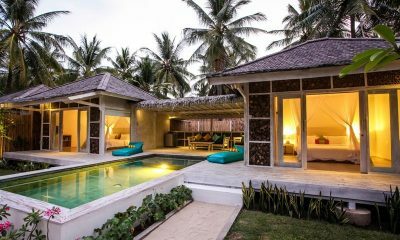 A well-kept secret in sought-after Lombok, The Beach Villa is your 2-bedroom private island paradise with everything you could want.